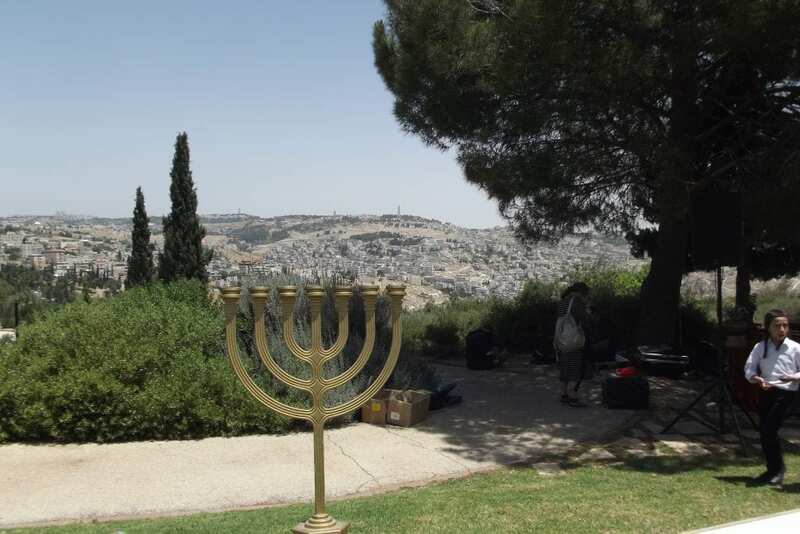 First Fruits’ Ceremony Reenacted Overlooking Temple Mount [PHOTO SPREAD] - Breaking Israel News | Latest News. Biblical Perspective. 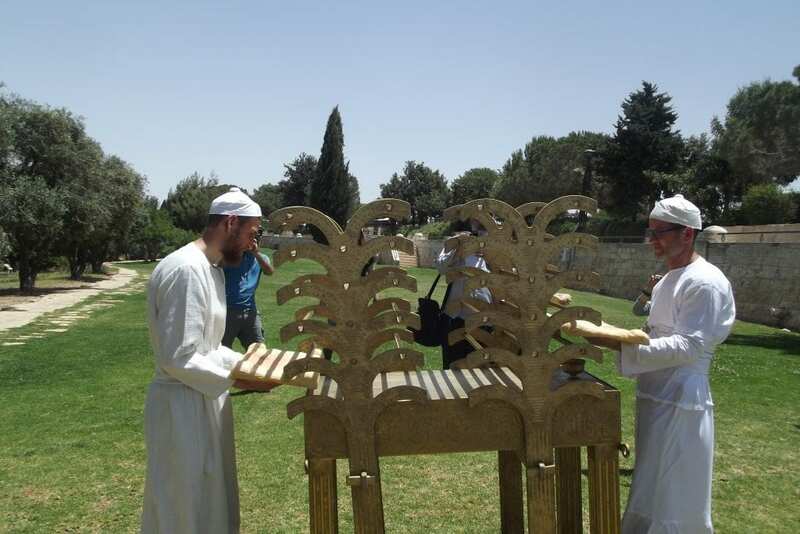 On Monday, at the promenade in Armon Hanatziv overlooking the Temple Mount in Jerusalem, a group of Kohanim (Jewish men of the priestly caste descended from the Biblical figure Aaron) recreated the ritual of the first fruits as it was performed in the Temple. The event was organized by the Mikdash (Temple) Educational Center, the United Temple Movements and the nascent Sanhedrin, an initiative to reinstate the Biblically mandated court of 71 elders. Rabbi Baruch Kahane led a group of four priests dressed in the Biblically mandated garments required for the Temple Service. 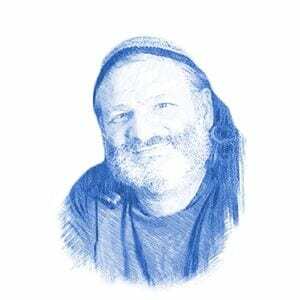 Rabbi Kahane has played a central role in educating Kohanim in all aspects of the Temple service. 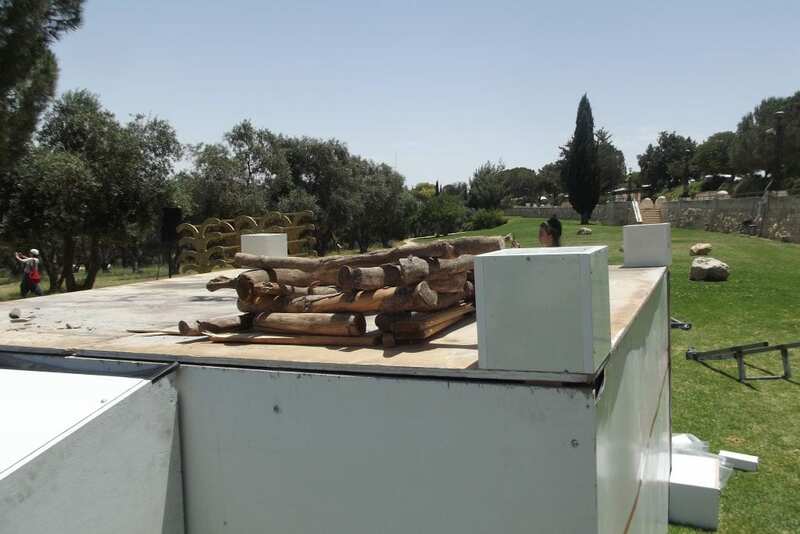 The reenactment was intended as part of this essential stage of preparing for the future when the Third Temple will be built and these rituals will again be performed. The Torah commands the bringing of the first fruits from the period between the pilgrimage festivals of Shavuot (Feast of Weeks) and Sukkot (Feast of Tabernacles). 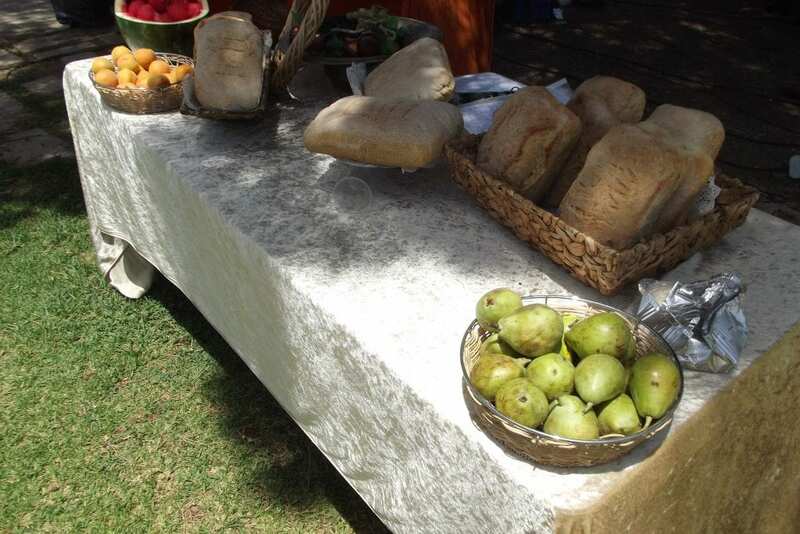 Bikurim (first fruits) are brought from the seven species that have a special significance to Israel: wheat, barley, grapes, figs, pomegranates, olive oil and dates (honey). A model of the ark of the covenant, the menorah (seven-branched candelabrum), a model altar and a rack for the show-breads were arranged also as an educational illustration. 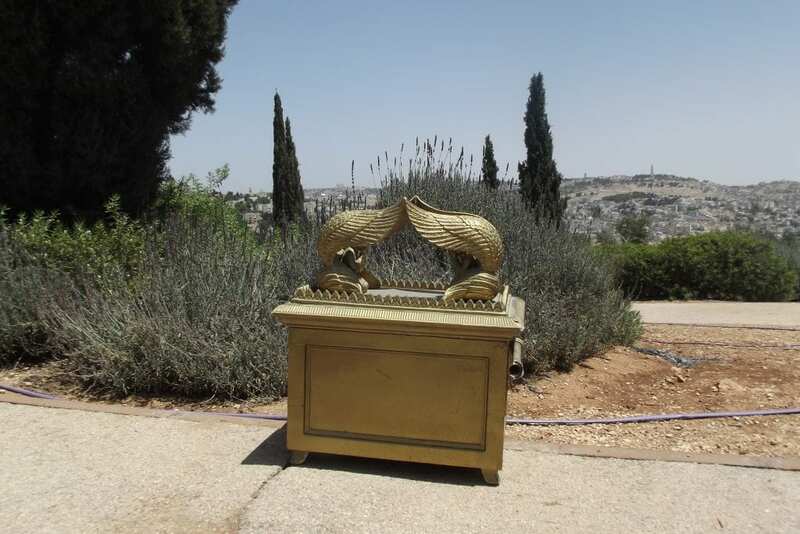 The models were made from wood, however full-size versions made of gold and silver have been constructed and are ready for use in the Third Temple. Two sheep were brought as an illustrative example but were not slaughtered. Instead, the proper cuts of meat were brought and arranged on the model altar. 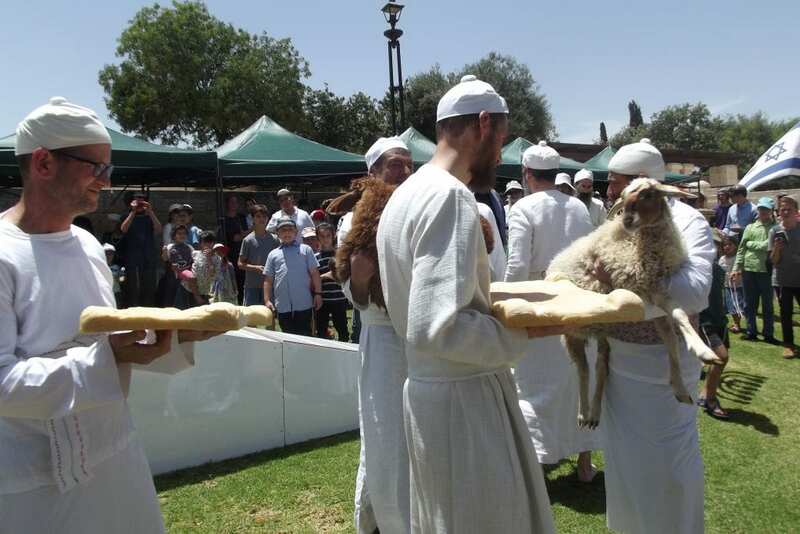 Show-breads were presented as were loaves of bread specially baked and presented as the two loaves of bread that are to be brought as a wave offering in the Temple on Shavuot. 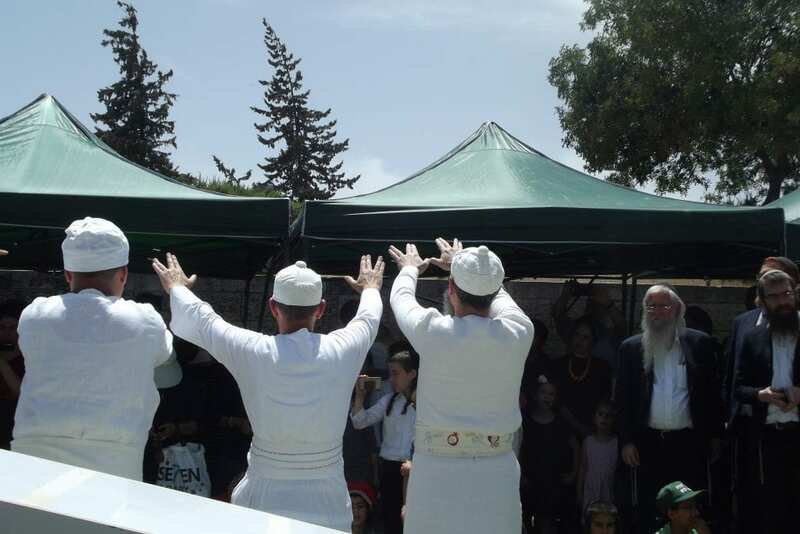 At the end of the ceremony, the Kohanim performed the priestly blessing.